No less than 45,000 Zulu ladies partook in the Annual Reed Dance, known as Umkhosi Womhlanga in Zulu Kingdom, South Africa, in the wake of experiencing virginity testing in their locale. The ladies where made to undergo the "ritual" test went for guaranteeing that they were virgins at the Enyokeni palace of King Goodwill Zwelithini, on Friday. 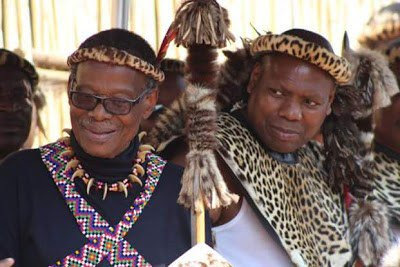 GIFTED BLOG had a week ago announced that young ladies in their thousands would undergone virginity test in their areas to avow their virtue before Zulu King, Goodwill Zwelithini in front of the Annual Reed Dance. The ritual occurred between September 8 and 10 in Nongoma, Zulu kingdom in South Africa and the current year's Reed Dance otherwise called Umkhosi Womhlanga‚ will happen from September 8 to 10.